I am new to heudicov, I followed the tutorial by Stanford Center for Reproducible Neuroscience (http://reproducibility.stanford.edu/bids-tutorial-series-part-2a/) to convert my own dataset. It seems that there is no error, but obviously one resting scan was not converted. Information of my system: ubuntu 18.04 (dual boot with window 10), wiht the latest docker version of heudiconv. 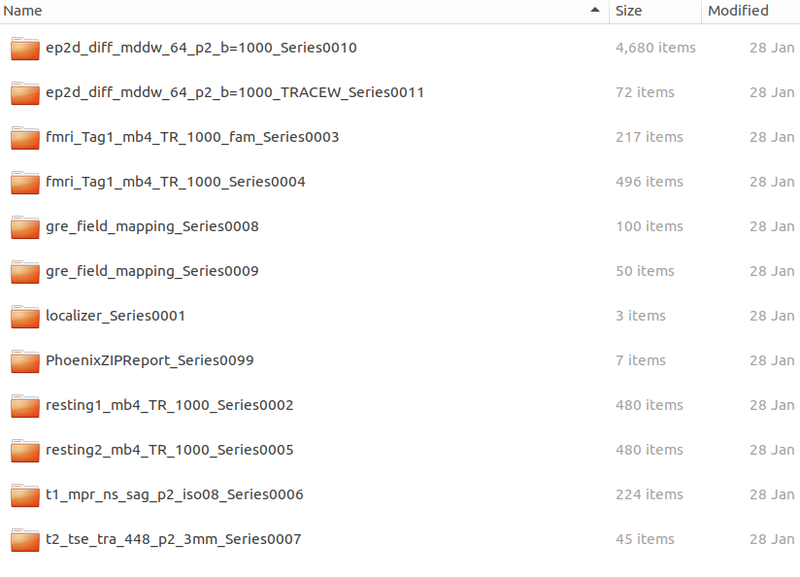 Below is the screen shot of the func folder, as you can see, only one run of resting there, but the dicom data have two runs. [Node] Setting-up “convert” in “/tmp/dcm2niixjbel5e38/convert”. INFO: [Node] Setting-up “convert” in “/tmp/dcm2niixjbel5e38/convert”. stdout 2019-02-12T23:03:29.095953:Conversion required 0.955019 seconds (0.295855 for core code). INFO: stdout 2019-02-12T23:03:29.095953:Conversion required 0.955019 seconds (0.295855 for core code). 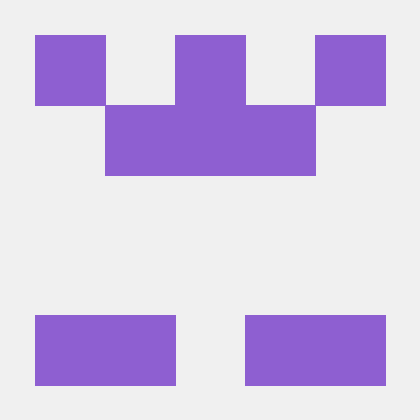 [Node] Setting-up “embedder” in “/tmp/embedmetaruuj143z/embedder”. INFO: [Node] Setting-up “embedder” in “/tmp/embedmetaruuj143z/embedder”. [Node] Setting-up “convert” in “/tmp/dcm2niixz9rsujso/convert”. INFO: [Node] Setting-up “convert” in “/tmp/dcm2niixz9rsujso/convert”. stdout 2019-02-12T23:03:29.784202:Conversion required 0.292782 seconds (0.048126 for core code). INFO: stdout 2019-02-12T23:03:29.784202:Conversion required 0.292782 seconds (0.048126 for core code). [Node] Setting-up “embedder” in “/tmp/embedmetasqe8g9j9/embedder”. INFO: [Node] Setting-up “embedder” in “/tmp/embedmetasqe8g9j9/embedder”. [Node] Setting-up “convert” in “/tmp/dcm2niixwo8mij39/convert”. INFO: [Node] Setting-up “convert” in “/tmp/dcm2niixwo8mij39/convert”. stdout 2019-02-12T23:03:32.700203:Conversion required 2.539633 seconds (0.319509 for core code). INFO: stdout 2019-02-12T23:03:32.700203:Conversion required 2.539633 seconds (0.319509 for core code). [Node] Setting-up “embedder” in “/tmp/embedmetah7drbdhx/embedder”. INFO: [Node] Setting-up “embedder” in “/tmp/embedmetah7drbdhx/embedder”. [Node] Setting-up “convert” in “/tmp/dcm2niixhsbjkjop/convert”. INFO: [Node] Setting-up “convert” in “/tmp/dcm2niixhsbjkjop/convert”. stdout 2019-02-12T23:03:39.405333:Conversion required 5.796813 seconds (0.702813 for core code). INFO: stdout 2019-02-12T23:03:39.405333:Conversion required 5.796813 seconds (0.702813 for core code). [Node] Setting-up “embedder” in “/tmp/embedmeta2k8pykfj/embedder”. INFO: [Node] Setting-up “embedder” in “/tmp/embedmeta2k8pykfj/embedder”. [Node] Setting-up “convert” in “/tmp/dcm2niix7vml9cft/convert”. INFO: [Node] Setting-up “convert” in “/tmp/dcm2niix7vml9cft/convert”. stdout 2019-02-12T23:03:46.350402:Conversion required 5.584305 seconds (0.687461 for core code). INFO: stdout 2019-02-12T23:03:46.350402:Conversion required 5.584305 seconds (0.687461 for core code). [Node] Setting-up “embedder” in “/tmp/embedmetaq4dbbpsm/embedder”. INFO: [Node] Setting-up “embedder” in “/tmp/embedmetaq4dbbpsm/embedder”. [Node] Setting-up “convert” in “/tmp/dcm2niixphmybaqi/convert”. INFO: [Node] Setting-up “convert” in “/tmp/dcm2niixphmybaqi/convert”. stdout 2019-02-12T23:03:47.657945:Conversion required 0.096665 seconds (0.057536 for core code). INFO: stdout 2019-02-12T23:03:47.657945:Conversion required 0.096665 seconds (0.057536 for core code). [Node] Setting-up “convert” in “/tmp/dcm2niix9yp7yhh1/convert”. INFO: [Node] Setting-up “convert” in “/tmp/dcm2niix9yp7yhh1/convert”. stdout 2019-02-12T23:03:47.769150:Conversion required 0.044770 seconds (0.029837 for core code). INFO: stdout 2019-02-12T23:03:47.769150:Conversion required 0.044770 seconds (0.029837 for core code). [Node] Setting-up “embedder” in “/tmp/embedmeta2hh4m1pd/embedder”. INFO: [Node] Setting-up “embedder” in “/tmp/embedmeta2hh4m1pd/embedder”. [Node] Setting-up “convert” in “/tmp/dcm2niix5il0o9uz/convert”. INFO: [Node] Setting-up “convert” in “/tmp/dcm2niix5il0o9uz/convert”. stdout 2019-02-12T23:03:52.844433:Warning: Saving 65 DTI gradients. Validate vectors (image slice orientation not reported, e.g. 2001,100B). INFO: stdout 2019-02-12T23:03:52.844433:Warning: Saving 65 DTI gradients. Validate vectors (image slice orientation not reported, e.g. 2001,100B). stdout 2019-02-12T23:03:55.202795:Conversion required 5.358445 seconds (2.609329 for core code). INFO: stdout 2019-02-12T23:03:55.202795:Conversion required 5.358445 seconds (2.609329 for core code). [Node] Setting-up “embedder” in “/tmp/embedmeta75hmjz7q/embedder”. INFO: [Node] Setting-up “embedder” in “/tmp/embedmeta75hmjz7q/embedder”. [Node] Setting-up “convert” in “/tmp/dcm2niixmsc8j9o_/convert”. INFO: [Node] Setting-up “convert” in “/tmp/dcm2niixmsc8j9o_/convert”. stdout 2019-02-12T23:03:56.504069:Note: this appears to be a b=0+trace DWI; ADC/trace removal has been disabled. INFO: stdout 2019-02-12T23:03:56.504069:Note: this appears to be a b=0+trace DWI; ADC/trace removal has been disabled. stdout 2019-02-12T23:03:56.504069:Warning: Saving 1 DTI gradients. Validate vectors (image slice orientation not reported, e.g. 2001,100B). INFO: stdout 2019-02-12T23:03:56.504069:Warning: Saving 1 DTI gradients. Validate vectors (image slice orientation not reported, e.g. 2001,100B). stdout 2019-02-12T23:03:56.521709:Conversion required 0.070095 seconds (0.046532 for core code). INFO: stdout 2019-02-12T23:03:56.521709:Conversion required 0.070095 seconds (0.046532 for core code). [Node] Setting-up “embedder” in “/tmp/embedmetaphx1fn9m/embedder”. INFO: [Node] Setting-up “embedder” in “/tmp/embedmetaphx1fn9m/embedder”. you already did a great job! Going through your heuristic.py a small, but important problem is noticeable: you missed an .append wrt the resting scans. In more detail, you set info[func_rest] = [s.series_id] which works correctly, converting and creating one resting file, that is the first one it finds within the DICOMs. However, as you have multiple resting scans, you need to create a list that stores and subsequently converts all matching files. You actually did that for the dwis: info[dwi].append(s.series_id). So the only thing you would need to change would be the corresponding line for the resting scans from: info[func_rest] = [s.series_id] to info[func_rest].append(s.series_id). After that, everything should work as expected. Please don’t hesitate to post again if this fix didn’t solve your issue, my explanation was not clear or if you have further questions. P.S. : It goes without saying and I know you’re aware of it, but just for the sake of completeness: make sure to use one version of the BIDS validator after you’ve created your dataset to make sure everything is there and fits! It’s almost one year since your workshop at Marburg, shame that I am still struggle about the basics. The good thing is that I didn’t give up ;-). Your are right, I didn’t check the ‘append’ and ‘=’ carefully. Now all the data were converted! But validator still report one error on DTI data and 2 warnings. File Path: The number of volumes in this scan does not match the number of volumes in the corresponding .bvec and .bval files. Reason:	The number of volumes in this scan does not match the number of volumes in the corresponding .bvec and .bval files. File Path: Not all subjects/sessions/runs have the same scanning parameters. Reason:	The most common set of dimensions is: 128,128,72,65 (voxels), This file has the dimensions: 128,128,72 (voxels). The most common resolution is: 2.00mm x 2.00mm x 2.00mm x 9.10s, This file has the resolution: 2.00mm x 2.00mm x 2.00mm. I found that the dicominfo seems not quit right, but not sure. Here is how my folder looks like, the dim4 of T1w, T2, gre_field, and DTI are all 1, but the number of dicom are not 1. Yeah, keeping on is one of the most crucial parts! Ok, glad it solved the first issue. Now to the rest. First of all, could you provide us with further information on your setup and the corresponding sequences? Looks like a Siemens scanner, no? The validator is right and gives you a hint that the two DTI sequences you have apparently differ in some sort, which is also visible in the dcm_dir_name and the dim3. Could you let us know what’s the difference between both? Maybe a diverging phase encoding direction (as e.g. evident in the tutorial you linked)? However, checking your dicom.tsv that might not be all, which transitions into your second question. The relationship between number of dcm and nii also depends on your setup and the data acquisition protocol parameters. For example using a Siemens scanner there’s something that is called mosaic format, that is a DICOM format in which a 3D image is stored on a 2D grid instead of a series of 2D slices. For example, if you check your resting scans: they have dim3=60 and dim4=480, meaning that the 60 slices you acquire within each TR are on one 2D grid, aka the mosaic and therefore you have 480 dcm. If that wouldn’t be the case your number of dcm would be n slice X n measured volumes, that is 28800 dcm. Now within the t1w, t2w and dwi you see that dim3 matches your number of dcm, as you sample the measurement volume once and not multiple times, that is one dcm for each slice. Wrt your dwi scans: if we divide dim3 of the first dwi sequence by dim3 of the second, that is 4680/72, we get 65, which might hint to dim4 of the first dwi sequence being stacked in dim3. I’m by far no DTI person, but that should be the number of volumes, aka your gradient directions. So, instead of having one 3D mosaic for each gradient direction, you have n slices X n gradient directions. As this furthermore stresses an existent difference wrt your second dwi scan, I would suggest you define two separate dwi identifiers, for example indicating the phase encoding direction (for an example check this neurostars post). I’m sorry for this confusing answer, I’m super bad at explained these things. Now I understand the dim3 and dim4 stuff. (2), The parameter of DTI acquisition (I’ve no idea about it either, just used the old sequence from our lab), as written in method part, is 72 slices, voxel-size: 2mm isotropic, TR:9100 sm, TE:85 ms, number of direction: 64, diffusion weight:2, be-value1:0s/mm2, b-value 2: 1000s/mm2). I asked my colleagues, what I understand so far is that: one DTI scan is the baseline, the other is the real data, and we need to subtract the baseline from the real data when we analyse the data. As I checked the link (Getting data into BIDS format), as well as this video: https://www.youtube.com/watch?v=O1kZAuR7E00. I found it is related to our scanning sequence. I compare the DTI information in the youtube video, the two scans, each has more than 1000 dicom files. but for our scanning, we have one scan with 4860 dicom files and one scan with 72 dicom files. The error was from the later scan. The number of volumes in this scan does not match the number of volumes in the corresponding .bvec and .bval files. in the following section, if you change the heuristic to pay attention to dim3, your conversion should be fine. the last diffusion scan is likely a derivative created by the scanner rather than a diffusion scan. the alternative is that it is just a b0 scan (from the looks of your output). you will have to decide whether that single 3d image is required. this would be true, if your other scan does not contain any b0 images. on a related note, it seems that dcmstack is not being able to group your data appropriately. i’m flagging @mgxd to see if there is any update. You are right, the last diffusion scan is a derivative created by the scanner (will add a screenshot later). So in this case, what shall I do to preserve all the information? I guess just ignoring the last diffusion scan is not the best choice, please correct me if I am wrong. one possibility is to use a different key for that one and assign the scan to it. NAME should be replaced with an appropriate extension from bids-derivatives diffusion proposal.